Here’s some good news: your local market is flooded with potential clients who aren’t currently looking for interactive content. Wait! That’s good news? Sure because it means there’s an enormous, untapped opportunity. The challenge is you’re going to have to grab it. Your website should shout interactivity from the rooftops. You need front page news with images and videos showing people what’s possible. This is because they don’t know what’s possible. Tell them what is achievable and tell them it’s much cheaper than they think. The agency POPcomms is a great example. Consider an industry focus. The value of industry focus is taught on Day One of business school but that’s because it’s true. With it you can refine your pitch and develop a highly scalable business with affordable service options because of templates. Create your own Intuiface templates and customize by as much as your client’s budget allows. It’s agile service delivery that scales. Embrace a prototype-driven pre-sales approach. We’ll say it again – your prospects don’t even know what’s possible. Show them by building content on the fly (yes, live during pre-sales meetings with your client). Run a screenshare and use content from the client’s website that you grabbed during a meeting prep. Then highlight the value your team brings in terms of creativity, ideation, content creation, KPI definition & collection, installation, deployment, and all of the other services you can uniquely offer. Participate in the Intuiface User Community. You’d be surprised at how many prospects are found among those who find Intuiface first but recognize they don’t have the skill to do anything but wildly swing the Intuiface hammer. They need you! Show off your skills on the Intuiface Marketplace. Show off your design capabilities by investing in an Intuiface experience that you can brand and make available for free in the Marketplace. (You can also choose to monetize that work. It's up to you.) There is nothing better than providing free stuff to drive traffic to your business. Creative Experts Program: This is for agencies and freelancers dedicated to content design and implementation. 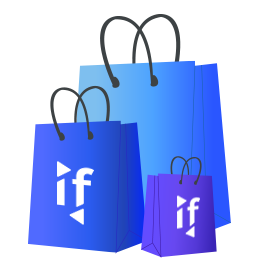 You get free promotion of your work through Intuiface social media, badges for your User Community participation, a dedicated company page on Intuiface’s Creative Experts website and much more. It’s a must-have if you’re taking the Open Door approach. Value-Added Resellers (VAR) Program: This is for systems integrators offering a full complement of services including things like hardware acquisition & configuration and ongoing maintenance. 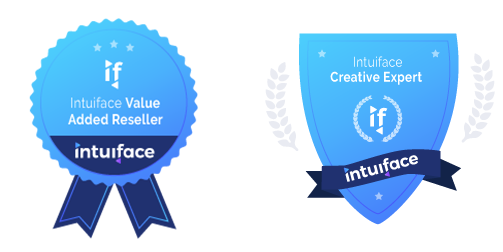 If you are ready to commit to a large sales volume, you'll get product discounts, dedicated assistance from Intuiface's own in-house experts, a dedicated company page on Intuiface's Value-Added Resellers website, and social media promotion. If you're interested in either program, fill out this form.